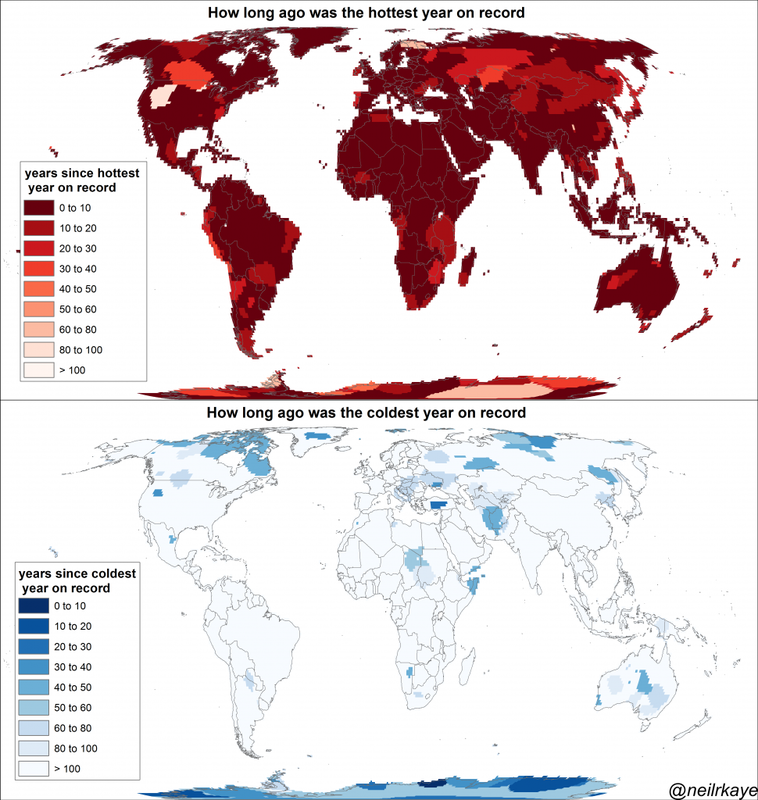 Home / Climate Change / Maps / World maps showing number of years since it was a "record hottest year" and "record coldest year"
World maps showing number of years since it was a "record hottest year" and "record coldest year"
The map below showing the most of the hottest records were not so many years ago. While coldest records are in full opposite. Just for example in Moscow hottest year ever was in 2010. While coldest year ever was kinda 70-80 years ago.